The Democratic People’s Republic of Korea or North Korea has been in the news recently. This is because of the North Korean leader’s feud with our president over Twitter. This often called childish feud, has some experts worrying about the potential for it to turn into a nuclear war. This potential doomsday threat has many people interested in North Korea and its eccentric and ruthless dictators. So here are ten things about North Korea you didn’t know. Economically, the nation is facing miserable conditions due to North Korea’s Doctrine of self-sufficient. However, the majority of the country’s income comes from supplying fake $100 US bills, Methamphetamine, Viagra, and Cigarettes. They also sell missile parts and small arms to rogue nations and terror groups. According to the UN, In 1990, more than 2 million North Koreans died due to some questionable government farming practices and natural flooding. And just recently, Asia Press reported that another famine had hit the farming provinces of North and South Hwanghae. This has caused some people to partake in cannibalism. The Democratic People’s Republic of Korea has been around for over 70 years with the country. In these 70 years, the nation has seen only 3 rules or dictators who are considered ruthless and cruel. The current leader of North Korea, Kim Jong Un came to power in 2011 after the death of his father. Previously Kim Jong Il ruled North Korea after the death of his father and founder, Kim Il Sung. South Korean film director Shin Sang Ok and his wife, actress Choe Eun Hui were abducted by North Korean agents in 1978 and brought to North Korea. There, they were forced to make dozens of films before managing to escape eight years later. Against the international law that prohibits any country from using nuclear weapons, North Korea has tested five nuclear weapons. These tests started in 2006 with one bomb in 2016 being said to be a Hydrogen bomb, according to North Korean media (most experts dismiss this claim, however). What is scary about this country is no one knows how many nuclear weapons they have in their arsenal presently. According to the State Department, North Korea has around 1.2 million military personnel stationed at Pyongyang and the border between North and South Korea. In comparison, South Korea has 680,000 and the US has 28,000 military personnel stationed near the border. Various news and article mention North Korean men below 60 years are forced to work as an army man. This is to increase the size of the North Korean army. This is the reason why the nation has approximately 6 million soldiers in the force. According to reports, Kim Jong Un’s father and previous leader of North Korea had performed some extraordinary feats. These feats include sinking 11 holes-in-one on the first time he played golf. Also, being able to score a perfect 300 on the first time he went bowling. The North Korean missile program was first developed in the 1970s. Taepodong-2 missiles were created with the help of the Soviet Union. These are long-range missiles that can reach the US. The other mid-range missiles have already been tested by attacking Japan. The Malaysian Government announced the assassination of North Korea’s current leader’s elder half-brother, Kim Jong Nam. This incidence took place on Feb 13 by two female assassins at Kuala Lumpur Airport. The two women who killed the leader’s older brother using a deadly nerve agent. 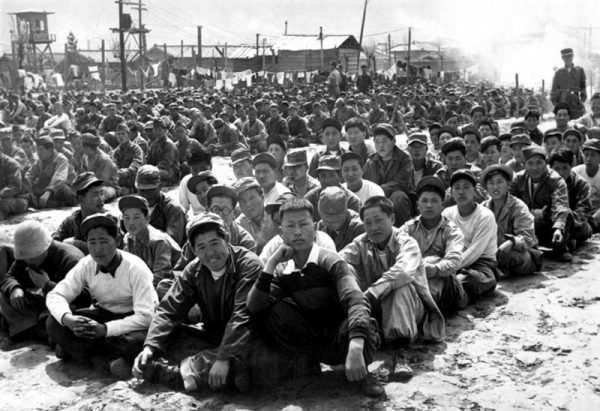 North Korea still has concentration camps that estimate to prison approximately 150,000-200,000 people. From electric fences to no human rights, the people in concentration camps have to suffer a lot. Also, the people who have committed political crimes are put in the worse prison camps. These camps often imprison the families of those caught performing political crimes where 40% of the imprisoned people died due to malnutrition. These ten things about North Korea are some of the most surprising and disturbing things you probably didn’t know, right? Well, you may be surprised, but there are many more interesting facts about this dictatorship that are not well-known.